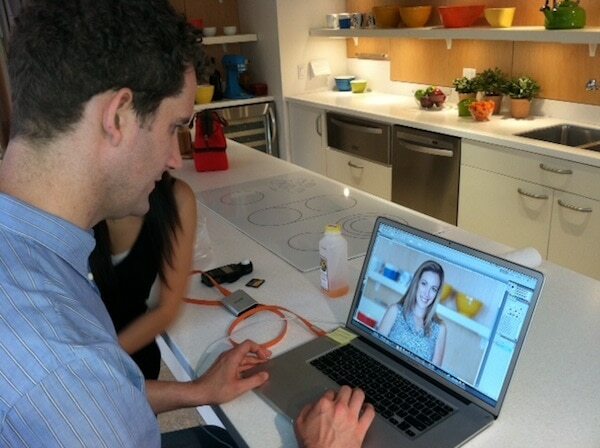 As I mentioned earlier this morning, I spent the day in the city for a photo shoot with The Rachael Ray Magazine. I found out the spread will run in September (so look out!). As I was driving in, my nerves got the best of me. I’m NO professional model. I’ve never done anything like this before. This was my first real shoot (with a national magazine no less) and doubts began to fill the car. Are the clothes I brought good enough? Should I have colored my roots? I don’t know how to pose! What if they don’t like my look? An hour drive with my inner voice harassing me practically made me insane! BUT then I got there and was greeted by a group of hilarious / down to earth people and everything was once again right with the world. The photographer Chris, Jaime the magazine rep and Young Tyler literally changed my attitude the second I walked in the room. My shoulders relaxed and I just enjoyed the ride. Driving home I thought about how lucky I was to be placed with that group of people. I could have come on a different day and had a VERY different *more intense* shoot. But instead, we made fun of each other and they forgave my inexperience without blinking an eyelash. The photographer took so many pictures he maxed out his card! I knew you’d do great. 😉 Piece of cake. LOL! I’m still stalking my Walmart, waiting to see if they put up your Success Rice video! I’m so glad you had a great time! I can’t wait to see how it turns out. You were so much fun to work with. You are a natural. There are too many great shots. I can’t wait to shoot you again. Judging by the photo on laptop you looked AMAZING! As always!